Spinner says batsmen need to be wary of it. Jaipur: Unapologetic about ‘Mankading’ Jos Buttler in an IPL match here, senior Indian off-spinner R. Ashwin said his decision was “instinctive” and cricket laws should be reconsidered if what he did was against the ‘spirit of the game’. TV replays showed that Ashwin had waited for Buttler to move out of the crease before removing the bails. “Look it was very instinctive. It wasn’t planned or anything like that. It’s there within the rules of the game. I don’t know from where the understanding of the Spirit of the Game comes,” Ashwin said. The mode of dismissal is permissible as per ICC Rule 41.16 of playing conditions, according to which there is no need to warn the batsman as was the case in earlier times. “Naturally if it’s there in the rules, it’s there. Probably, we need to go back to the rules,” India’s premier Test spinner said. When reminded of a past incident when former West Indian skipper Courtney Walsh let off Pakistan’s Saleem Jaffer in crucial 1987 World Cup match at Lahore in a similar situation, Ashwin retorted sharply. “Neither was Jos Buttler playing then nor was I playing. So it is very very pertinent to just not compare two people,” he said. When probed further on whether it affects the ‘spirit of the game’, the irritation was palpable on his face. “I don’t understand the point because it’s rules. What applies for one man doesn’t apply for everyone else?” he asked. There has been a debate whether Ashwin deliberately delayed while loading up on his delivery stride having apprehended that Buttler backs up too far. “I didn’t even load and he left the crease. It’s always been my take on the crease, because it’s my half of the crease,” he said. No comments, says Royals lead Rahane Royals skipper Ajinkya Rahane refused to comment on the controversial dismissal and left it on the match referee to take a call on the issue. “We are not supposed to comment on a controversial issue. The match referee will take the call. We will take the decision sportively,” said Rahane. 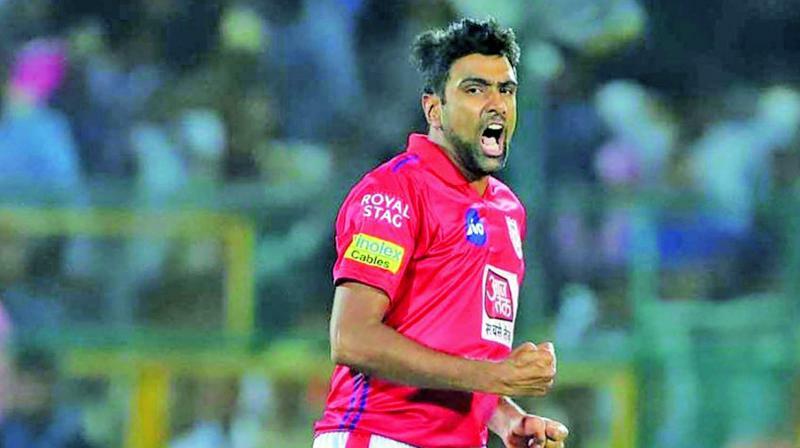 His actions speak for him: RR coach A livid Rajasthan Royals coach Paddy Upton said Ashwin’s ‘Mankading’ is a “representation” of the kind of person that the senior India spinner is. “I think Ashwin’s action speak for him and represent him when I looked up to the eyes of his teammates,” Upton said. Upton also had an animated interaction with Ashwin during the customary handshake at the end of the match.